65% Modacrylic / 33% Aramid (kevlar/nomex) 2 % carbon / nylon anti-static fiber. • Button closure at waist. • Nomex taped brass zipper fly closure. 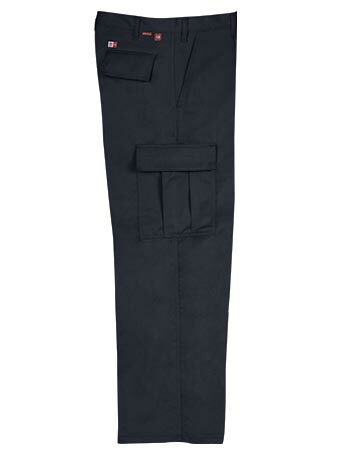 • 2 big pleated cargo pockets with hidden button flap closure. • 2 rear inside pockets with hidden button flap closure.